Our stretch of the Mississippi is home to bald eagles, falcons, beavers, and foxes, so when you aren’t rowing, there’s plenty to see! Class size of 10 rowers (minimum of 6). Age minimum: 12 years. Cost $75/per seat. Schedule of Rowing Adventure Classes: We will be back in 2019! Schedule your own 3-hour rowing adventure! Based on our popular Rowing Adventure classes, our “adventures” are ideal for book clubs, birthday, retirement, graduation parties, etc. Class size of up to 12 rowers. Cost: $600. 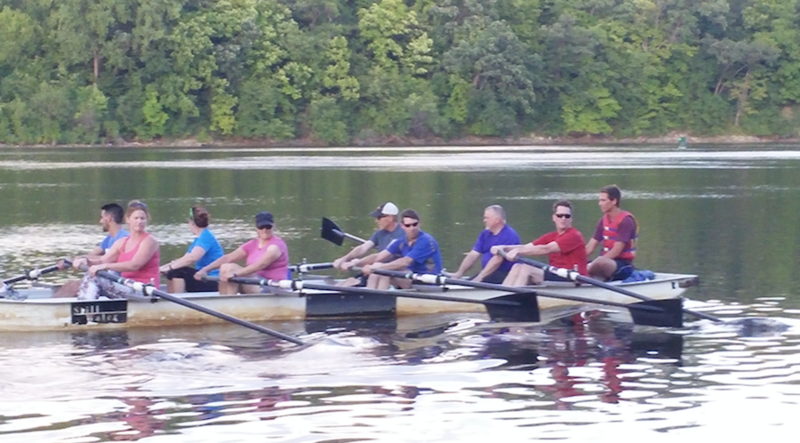 If you are looking for a fun and challenging team-building event for you and your co-workers, Minneapolis Rowing Club offers a unique way to “pull together” your crew through the rowing experience. MRC offers a 3-hour program which includes introduction of the equipment, basic rowing skills, on water exercise and ending with a short race piece to demonstrate your success.